It is said that breakfast is the most important meal of the day. At Quality Hotel™ we're serving a wide range of organic products. The selection includes freshly-baked bread, a wide range of toppings, fresh fruits, and various types of buttermilk and yoghurt. Naturally, we offer lactose, milk and gluten free products and goodies. There are five parking spaces at the Quality Hotel Grand Borås, as well as two electic car charging stations (230V/16A). Please note that all our car parking spaces cost 175 SEK/24h and must be reserved. There is a parking garage opposite the hotel where you can park for 24h (199 SEK) or 48h (395 SEK) in certain spaces. You will need to pay in advance at the reception to park here. We do not have our own gym but recommend Nordic Wellness, located just a ten-minute walk from the hotel. As our guest, entry costs just SEK 50 when you show your key card. Your pets are more than welcome at the Quality Hotel Grand Borås and can stay with you in your room for 250 SEK per stay. We will even provide food bowls for your furry friends! Please make sure to let us know if you are planning to bringing a pet at the time of booking so that we can make the appropriate arrangements. 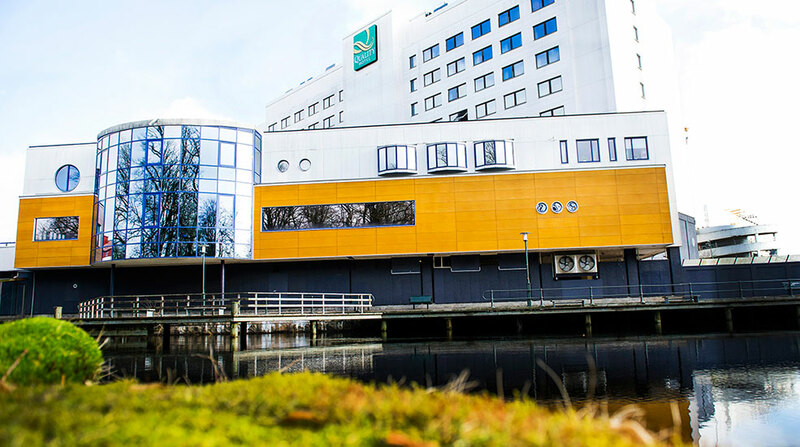 Quality Hotel™ Grand, Borås offers a laundry service. Drop off your clothes at reception by 9am and you'll have clean clothes back by 6pm the same day. All our hotel rooms and public areas have free WiFi. Currently, our free WiFi doesn't require a password. It couldn't be easier. We also have a guest computer which you can use whenever you like.